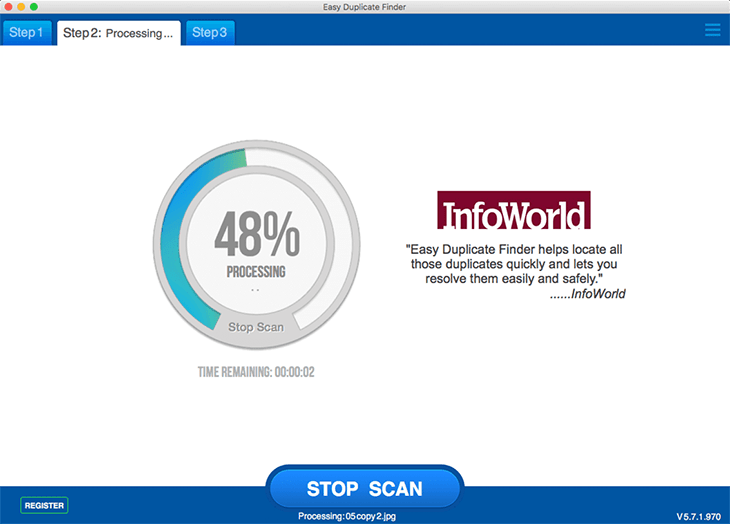 Open Easy Duplicate Finder™ and drag & drop the folders you want to scan to the Include to Scan area. You can also use the Explorer-like pane to browse to the folders you want to scan and then click on the Add button to add them. 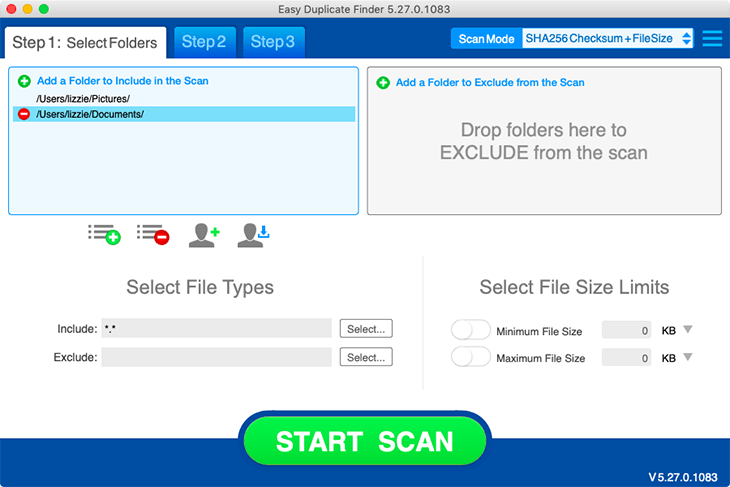 If you want to make the search more precise, select the file types you want to include and/or exclude from the scan. You can also set file size limits to narrow down your search. Now that you've found the duplicates, you'll need to delete them. You can either do it manually or use Assistant to help you make your choice. 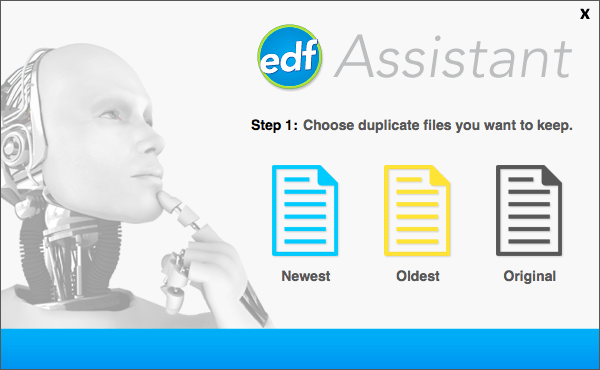 Assistant will offer you to select which file versions you want to keep (newest, oldest or original), and it will do the rest once you make your choice. If you'd rather compare the files manually and make your own choice, go to the scan results area and select the files you want to delete. 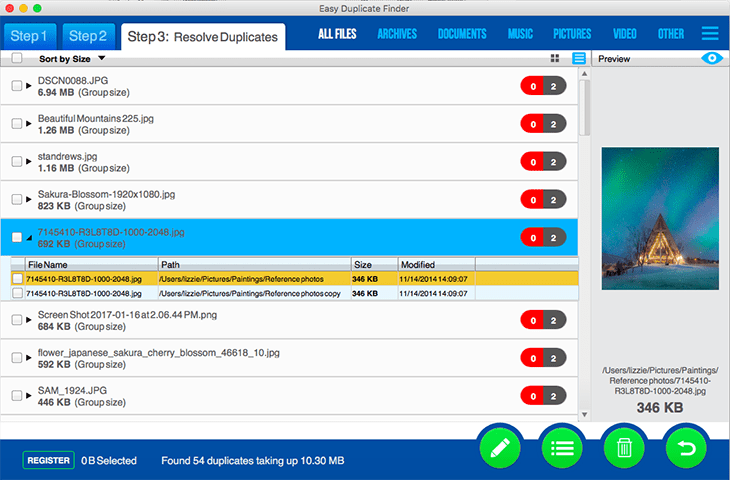 Duplicate files will be displayed in groups of two or more - the original file and all its duplicates. This makes it easy for you to compare them. Highlight a file to preview it in the Live Preview pane. 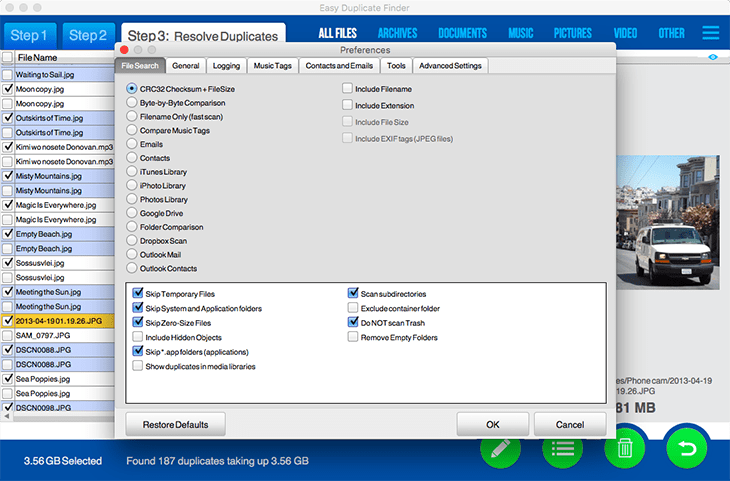 When you decide to delete a file, Easy Duplicate Finder™ will ask you to select to either move the duplicate to the Recycle Bin, or delete it permanently. But what if you discover that you've deleted a file you need by accident? No problem - simply hit the Undo button and all actions performed by the program will be undone.